Take one serving (1 capsule) with 8-12 fl. oz. of water in the morning, and one serving 1 (capsule) with 8-12 fl. oz. of water 5-6 hours later in the mid-afternoon. Do not take this product within 6 hours of bedtime. DO NOT EXCEED 2 CAPSULES PER DAY. USE ONLY AS DIRECTED. 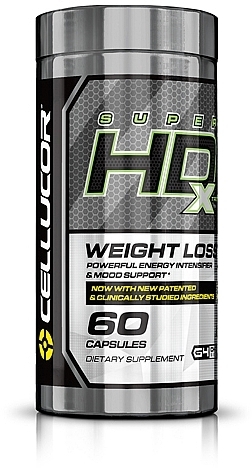 May 06, 2015 Cellucor Super HD Xtreme – Long Lasting Energy!